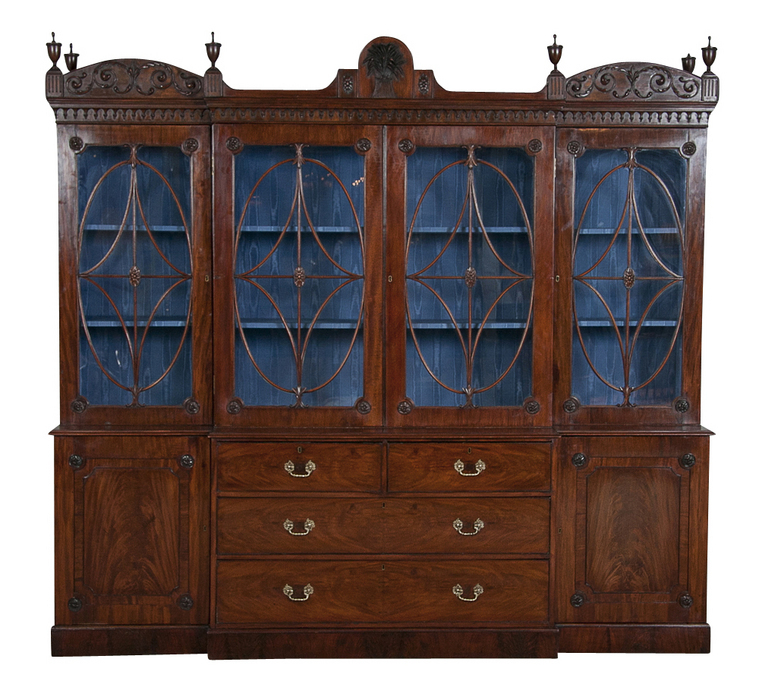 Very fine regency carved mahogany breakfront, having an arcaded cornice with rosette, foliate and sheaf of wheat carved panels, set above four mullioned glass doors with interlaced molded muntins with carved rosettes, in turn set on a base section with four graduated central drawers flanked by end cabinets with inset molded panels, all raised on a plinth base. Fine rich color and superb detailed carving. England, circa 1800-15. 104" long, 91 1/2" high, 23" deep center.